FACT CHECK: Bernie Sanders Pays Interns $12 an Hour? Bernie Sanders Pays Interns $12 an Hour? Bernie Sanders has been criticized as hypocritical for only paying his interns $12 an hour despite his campaigning to raise the minimum wage to $15 an hour. Bernie Sanders pays his staff interns $12 per hour while campaigning for a minimum wage increase to $15 per hour. Bernie Sanders pays his interns $12 an hour. Bernie Sanders pays his staff workers $12 an hour. 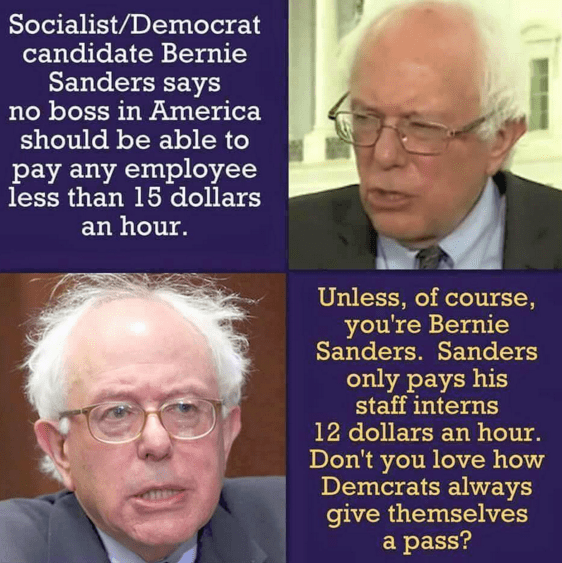 It’s true Sanders pays his interns $12 an hour, as noted by a page on the candidate’s own Senate web site that clearly states that “interns are paid $12 per hour.” This, however, does not necessarily mean that Sanders gave himself a “pass” on his proposal to raise the minimum wage. Interns are an integral part of our Senate operation and contribute greatly to the senator’s work on behalf of Vermont and the nation. Senate interns have the unique privilege of gaining an insider’s perspective on the legislative and representative process. Our Washington and Burlington offices offer paid full- and part-time internships tailored for recent graduates and current students at the undergraduate or graduate level. Second, the national minimum wage does not apply to internships. 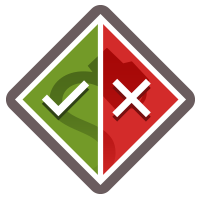 The Fair Labor Standards Act lists six criteria (such as “the internship experience is for the benefit of the intern”) that private sector companies may meet in order to offer unpaid internships, and Congress has further exempted itself from some of these standards. According to an article published in the Atlantic, only one third of U.S. senators paid their interns anything at all in 2013. It should also be noted that these $12 per hour internships are for positions working as aides to Sanders in the U.S. Senate, not for positions on his 2016 presidential campaign staff.